It’s important to first point out that legitimate American Shorthair breeders never ever ever sell their cats in retail pet stores, and generally won’t sell on classifieds sites like Craigslist either. Even the most reputable catteries are lucky to break even with their operations because it is very expensive to take care of purebred cats. They mostly do it for their love of the American Shorthair breed and their desire to see it continue on into future generations. That said, here are some good places to begin your search! The National American Shorthair ClubA provides you with free access to breeder directories, and the CFA also offers a free kitten search where you can browse available American Shorthairs from multiple registered breeders. 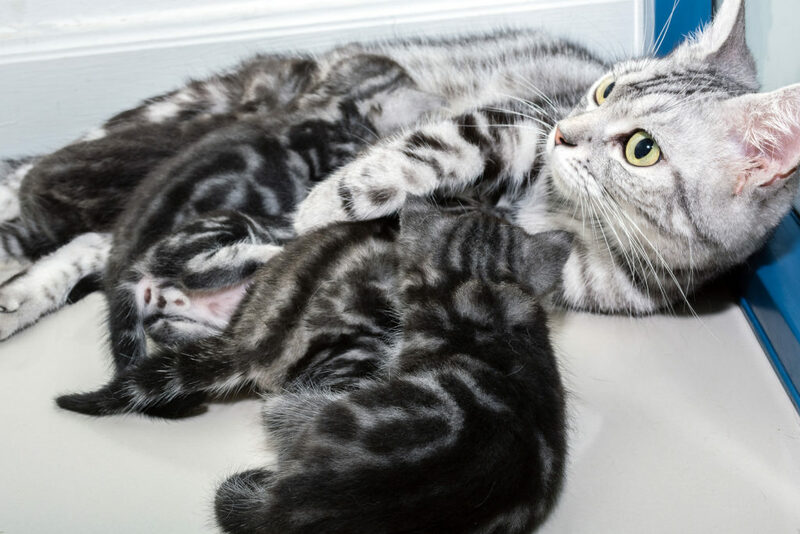 These directories provide contact information, and it’s best to email or call a breeder directly to find out if they currently have kittens available. Don’t be shy about contacting association itself for more information and referrals. These folks are incredibly passionate about the American Shorthair breed, will have connections throughout the community, and should always be able to point you in the right direction when you’re looking to purchase a new kitten. If you have friends or family who own an American Shorthair, the odds are pretty good that they’ll be able to tell you about the breeder that they purchased the cat from. They should also be able to give you invaluable insights inside about the overall experience and whether or not you should consider purchasing your cat from the same breeder. This is a great source of information, mostly because you know that these people have your best interests at heart. Just be sure to verify all of the information you receive from any resource. You want to be completely certain that your purchasing a healthy kitten from an ethical situation, and that’s going to require a little bit of extra due diligence on your end. shade Silver Tabby or other else pattern. my area: Jakarta, Indonesia. Java Island.